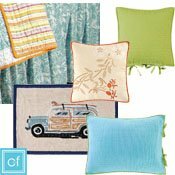 Discontinued patterns by C & F Enterprises - PC Fallon Co.
Shop our selection of beautiful quilts, bedskirts, pillows, and window treatments in discontinued patterns by C&F Enterprises. Find great buys on these hard-to-find items. Limited stock available.